This page concerns unlawful termination settlement amounts in Mississippi. It is unusual for good claims to go to trial, for the reason that they mostly reach settlement out of the courtroom. A lot of these court cases consist of mixed settlements, implying they implicated one, or a number of claims of wrongful firing caused by sexual orientation, gender expression or gender identity discrimination, disability, whistleblower, constructive discharge, gender discrimination, race, color, national origin, religion discrimination, firing in violation of public policy, pregnancy or age discrimination. The data directly below exhibits a summary of the different types of cases filed and their specific quantities in the state of MS in 2017. Kristy Sones worked for Mississippi HomeCare in Picayune. She suffered any epileptic seizure at work. When she returned to work, she asked for accommodations to help her perform certain computer tasks, since she had to take seizure medication and they were having temporary side effects. The company did not provide the requested accommodations, and did not even discuss what could be done. Sones was fired 1 month later. The Americans with Disabilities Act states that reasonable accommodations must be provided by the employer for a worker’s disability. Since the company did not do so, the EEOC filed a lawsuit on Sones’s behalf. Beatrice Chambers was a nurse for 36 years at River Region Medical Center. She required shoulder surgery, and was approved for sick leave. During her recovery, her doctor suggested that she either extend her sick leave, or ask return to work on light duty temporarily. Chambers requested this reasonable accommodation, but the company refused her request and discharged her not long after. She reported the events to the EEOC, who sued the company on her behalf. At this time, Chambers also applied for a disability insurance claim, citing “temporary total disability”. This is what makes this case interesting. Her claim for total disability would mean that she was unable to perform her work, and the company was right in firing her. The district court cited this, and dismissed the case. On appeal, the Court of Appeals returned the case to the district court. grant on drug and alcohol abuse. The program was set to last 5 years. 2 years into the program, she realized that her boss was mismanaging federal grant funds, and reported him. She was fired soon after in retaliation. Te’Shawn Harmon started working at a Holiday Inn location in Batesville, MS. One her 1st day of work, she informed her supervisor that she was pregnant. She was fired immediately, and replaced by a non-pregnant worker. Gloria Carey, a 53-year-old black woman, applied for a social worker position at the nursing center. She had 27 years of relevant experience for the position. Instead of hiring her, the company gave the job to a 34 year old white woman, who was obviously lesser qualified. This woman was the only candidate interviewed. Eric Newton worked as a dispatcher at Knight Transportation’s facility in Olive Branch, MS. He was a night shift dispatch supervisor who responded to calls made by drivers. One of the drivers made racial slurs which Newton found racially offensive. He reported the event to management. There was no investigation into the matter, and Newton was terminated not long after. A large percentage of court cases settle for between ten thousand to just a few hundred thousand dollars. When considering this listing of unlawful firing settlements from Mississippi, remember that the large amounts of money are because of punitive damages, that are rewarded to dissuade businesses from taking part in the same kind of unjust behavior. Punitive damages are relatively rare. This list of wrongful firing verdicts and settlements in MS was created for informational purposes. Even if you feel similarity to any of these cases, remember that every situation is unique. It is understandable that you want to find out the amount of money you could be given for your wrongful dismissal claim. In the event that you reach settlement, the figure you receive is normally determined by these factors: lost benefits, reason of discharge, lost earnings, job search costs, emotional distress and medical expenses. Punitive damages could be granted in rare situations, if the workplace behaved egregiously. As you can observe from the example claims above, presenting a standard settlement for unlawful discharge claims in MS is actually really difficult since each claim is unique. 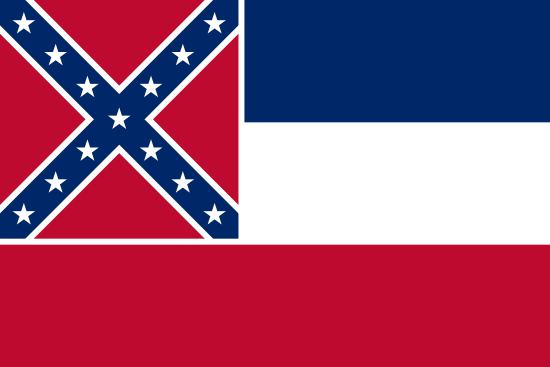 The average wrongful termination settlement in Mississippi is between $6,000 and $100,000. Attorneys can certainly be helpful when it comes to reaching a higher settlement. The average court or jury awards are bigger, between $90,000 – $400,000. This is definitely a good reason companies like to reach settlement before going to court. Years of going to court, bearing the legal costs and perhaps losing the lawsuit in the end might be very expensive. If you think maybe you had been discharged for some kind of unlawful reason, here are tips on what you should do. To start, you will want to speak with a wrongful termination law firm in Mississippi in order to discover if you have got a case worth going after. Do not delay, because there are actually deadlines to reporting unlawful discharge claims in Mississippi. 2nd, you will probably need to submit a timely claim with the EEOC office in Jackson, MS. Here are several suggestions on filing a wrongful termination lawsuit.